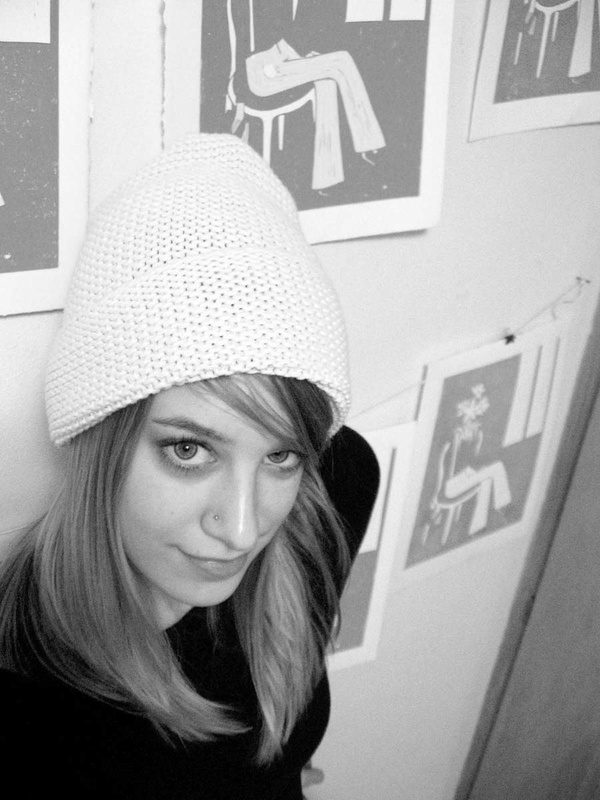 The featured Hatch Art House artist for August is Juliet Darken… an illustrator, designer, fine artist, and Madison native. She creates whimsical, yet sophisticated pieces with traditional relief printmaking techniques, sometimes with small additions of collage and graphite. This involves a complex process of reversing the original design, carving, and printing each color as a separate layer. In her opinion, the most important thing for people to learn is how to communicate, and she enjoys adding her personal visual language to the human conversation. 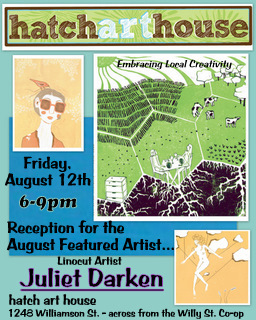 Stop by Hatch from 6-9pm to celebrate Juliet’s work! Refreshments will be served. There is a parking lot behind Hatch off of Baldwin St.